Clear your calendar - It's going down! 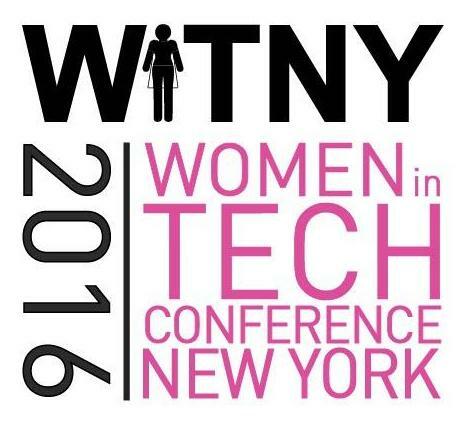 The WiTNY Conference kicks off on January 22nd, and you're invited to take part in this one day interactive event. 40 Washington Sq South NYC is our meeting spot for a day of inspiration, education, and action. Arrive early, check-in, grab a bite, and mingle. Tania Katan, the force behind the viral #ItWasNeverADress, kicks off WiTNY with her incredible story and enviable energy. Today we bring together a community of tech enthusiasts to share their story and pass on their knowledge and life lessons to the upcoming generation of women impacting tech. Audience participates in a facilitated activity in Greenberg Lounge. Huddles of 8-10 participants form and each is provided a facilitator. Share & summarize the collective outcomes of the activity. Panelists share personal stories and their impact through real life scenarios you are likely to experience in the workplace. So we can identify what we want from our response and clear roadblocks by creating solutions. Audience participates in a facilitated activity in Greenberg Lounge. Huddles of 8-10 participants form and each is provided a, facilitator. *Lunch is also served at this time. Mentor/Mentee pairs discuss their relationship; Community Builders share the power of a support system and how to build yours. So you can identify and build relationships fundamental to your development and success. Accenture technology leaders in product development, system design, testing, recruiting, and technology management roles will share ideas for how women can develop and promote their transferrable skills as they prepare to launch into technology careers. Capital One will host a conversation on the power of Open Source and how it provides unique opportunities for women to grow and succeed as tech professionals. The interactive panel will feature Margaret Mayer, Senior Director of IT for Capital One and Liza Kindred, Founder of Third Wave Fashion, and will be moderated by Remy DeCausemaker, Fedora Community Action & Impact Lead at Red Hat. Among the topics the discussion will spotlight are the inclusive nature of an Open Source culture and how Open Source can help with creating your personal brand. You choose which to attend. Panelists talk about their career path. How and why they made the choices they did, and what you can do to drive your career in the direction you want to go. Here is your chance to ask that burning question! You may submit questions throughout the day by texting DYSON to 37607 once to join the Group. After joining, you may text your questions to the same number. Everyone should have a learning mindset! You’ve probably heard this in the past, but it is far easier said than done. In this talk, we discuss what it takes to own your learning journey outside of the university system, what factors to consider when thinking about personal and professional growth, and how to make your personal plan. We use examples from real people’s learning journeys, scientific research on learning, and a few tips from personal experience. To continue the momentum of the conference, all attendees are invited to special community building events being held every three weeks for an entire year (!). Each event is held at a new location in NYC, always a Thursday, always 6:30-8pm. Tech Events Manager-Ami Stuart-can be reached by clicking the 'contact organizer' link below.